Irish music is currently in a great place with new bands of various different genres emerging almost every week. We've features dozen of Irish acts on new Song of the Day this year and we've been bowled over by the talent in the country. We want to look ahead to 2016 now so we've picked five Irish artist we think will do something special in the next 12 months. Gemma Doherty and Morgan MacIntyre are Saint Sister and their ethereal electro-folk sound has grabbed a lot of attention this year. 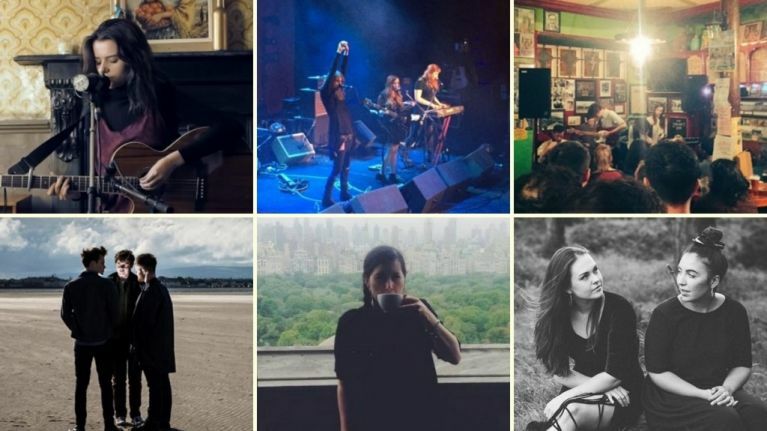 With the stunning EP Madrid under their belt, we think Saint Sister could have a huge 2016. The Donegal-based singer songwriter blew us away when she appeared on Sunday Sessions earlier this year. The 18-year-old is heading to SXSW in March so it seems she's well on her way to great things. A real talent. BHP are one of the most exciting bands to emerge from Limerick in a very long time. Their indie pop has caught the ear of BBC Radio 1's Huw Stephens who is giving them plenty of airtime. 2016 might be the year they're all over you radio. We had heard really good things about Elm during the year and we only got around to seeing them at Other Voices in Dingle. They played in a packed O'Flaherty's and it was great. Front man Dylan Walsh's voice has a lovely raspy quality that fits their atmospheric pop sound perfectly. The Belfast boys and girls have arguably been the "buzz" of the last few months of 2015 and we reckon they're in for a big 2016. We saw them support The Vaccines in December and they were fantastic, a really cool rock band. The amount of people singing their single Go at the end bodes well. The New York-based Dubliner released one of our favourites songs of the year in Petrol Station and seems to have figured out her sound to a tee. A new EP is in the works so we're excited to see what the electro artist can come up with in 2016. Huge potential.